The Marsic Confederation was an alliance of cities opposed to Rome during the Social War (from socii ("allies") of 91-88 BC. The conflict developed out of dissatisfaction amongst the allied Italian peoples, who served in the Roman armies but did not enjoy equal compensation in terms of political rights and compensation in booty and land. The war was begun by the Picentes. The Confederation included Marsi, Peligni, Piceni, Vestini, Samnium, Frentani, Marrucini, and Lucani. The group intended to form an independent nation called Italia with its capital at Corfinium (modern day Abruzzo). 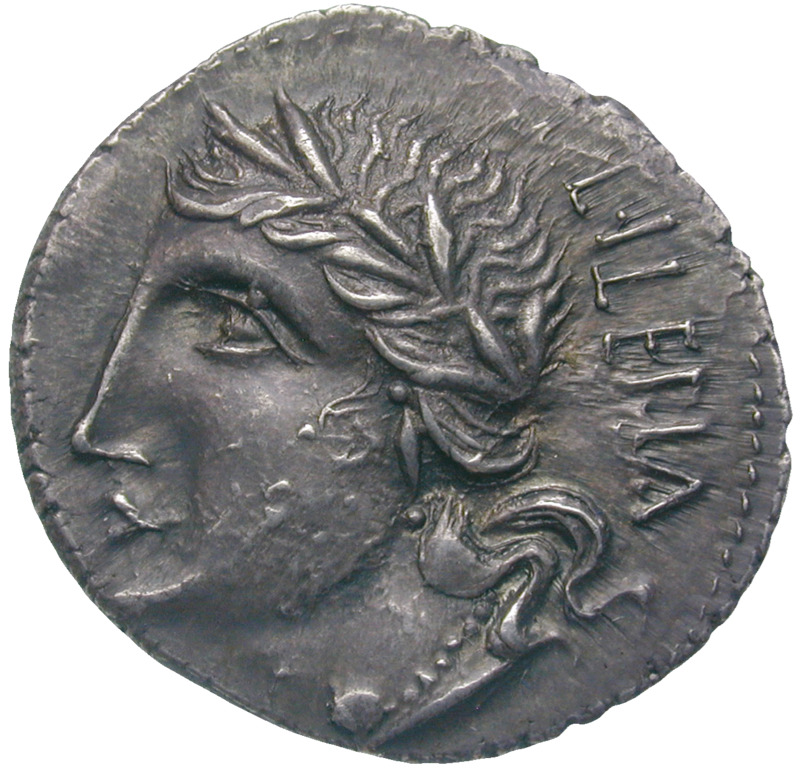 Their coinage, modeled on the Roman denarius system, prominently depicted a female personification of Italia and oath-taking scenes reflecting the origins on the anti-Roman alliance, and other types picturing anti roman propaganda. While the alliance was defeated on the battlefield, Rome eventually ended up enfranchising all of Italy, effectively acceding to the alliance's demands.